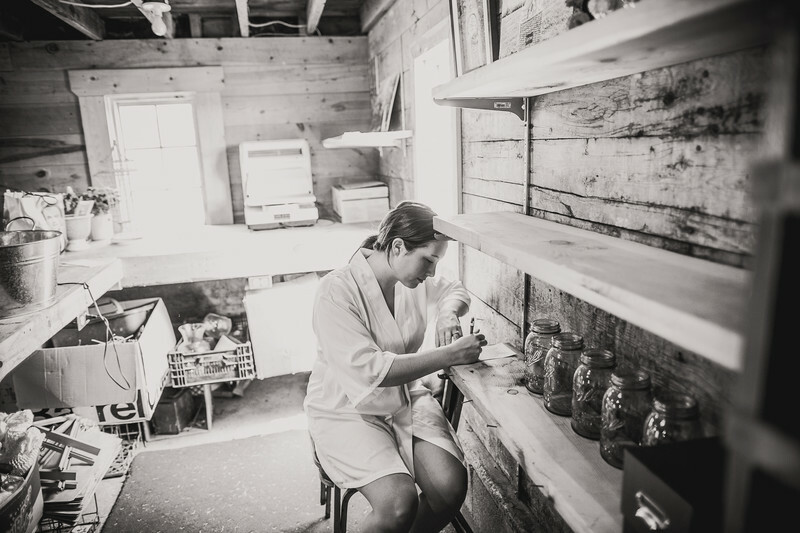 A bride writing a message to her future husband before getting her dress on of their wedding at Freehands Farm in Ashland, Wisconsin. Their getting ready room was a small building near the main barn building. 1/125; f/2.0; ISO 800; 24.0 mm.